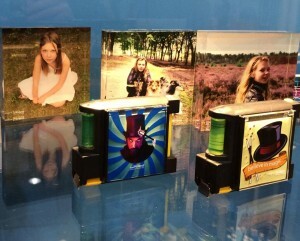 A growing number of photographers have an inkjet printer with which they create photo products. This does not merely involve canvasses and posters, but also all sorts of gifts and gadgets. 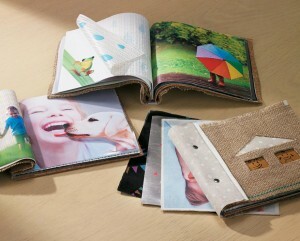 Sleeves for smart phones, coffee mugs, cushions, mouse pads and glass coasters are just a few examples of objects that can be personalised with a photo. 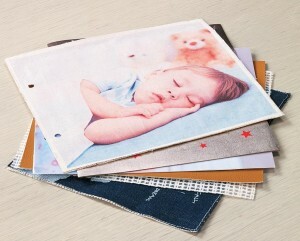 The added value of a print on photo paper is limited. This all changes if you are able to present the print in a special way on different image carriers or in larger formats. Photos can thus be processed in creative ways in an interior or advertising campaign, for example. 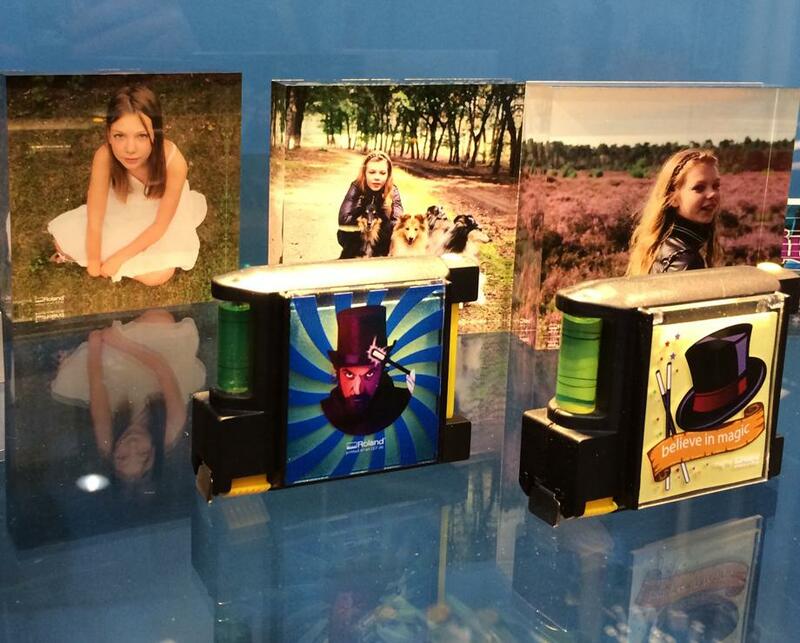 With Roland DG’s printers you add value to your professional photos. You can choose from different techniques: sublimation, eco-solvent or UV-curable inkjet techniques. You can create an entire range of photo products with each of these techniques. With Roland DG’s UV printers you can print directly onto an infinite range of objects. Thanks to the special LED-UV process it does not matter what type of material you print on. With the VersaUV LEF-20 you can, for example, print directly onto Plexiglas photo blocks, glass coasters, sleeves for smart phones and tablets, name plates, key rings and so on. Our eco-solvent printers print beautiful colours onto a large variety of roll material, such as photo paper, canvas and self-adhesive film, for example. With sublimation technology you can apply a print onto an infinite range of objects, extending from coffee mugs to large aluminium sheets and an entire range of textile products, using a heat press or calendar. What could previously only be done by specialised companies that printed hundreds of items at once, can now also be done by small-scale self-employed individuals. 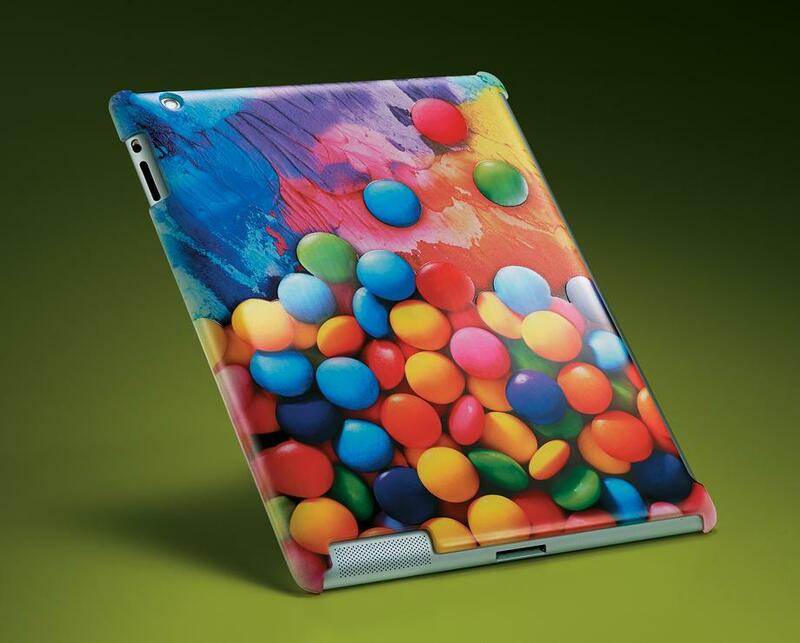 With our digital printers you can personalise your product ranges. Even printing just one piece is profitable, since there aren’t any start-up costs.